MILLION $$$ View for 40% less. 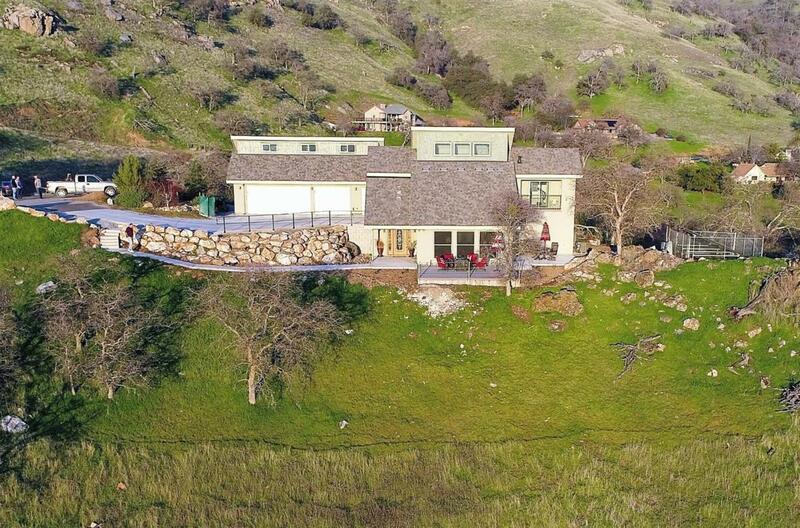 Consider the lifestyle of enjoying the serenity of this hill top lot with views of the mountains, Lake Kaweah, Oak trees, natural landscape and abundant wildlife. Built by an engineer for an engineer you will find a higher level of quality and attention to detail. See the attached list of amenities, pictures and descriptions for more specifics. The fully paid solar, pellet stove, low E vinyl windows, R-30 Ceiling and R-19 walls provide low cost of living. The aerobic septic system is environmentally friendly and the water supply includes a fire suppression system. The finished and insulated garage is a mans dream with 240V outlets, attic storage and convenient access to the home. Call your agent today for an appointment to see this unique home.